It's pretty obvious in my family that when we are having pasta, we are having meatballs. It's like peanut butter and jelly. Macaroni and cheese. Cookies and milk. Scrambled eggs and ketchup (if you're into that sort of thing). They just go hand in hand and there's really no way around it. Fortunately, they're pretty easy to make and this recipe makes a good deal of them. My dad prefers them with no sauce, no dressing, no ketchup, just...plain. The rest of the household has them after my mom fries them up and tosses them in her marinara sauce. 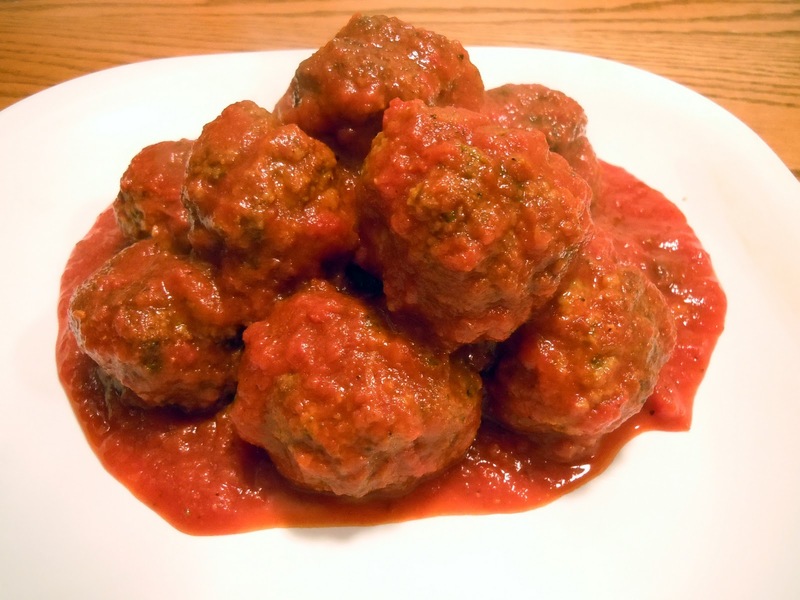 It adds a lot of extra flavor and the meatballs soak up the sauce. If you prefer this method, make sure you fry them so they're crispy. If they are still soft, they may fall apart in the sauce and no one really wants that. Make the whole batch and you can enjoy a meatball sub the next day, too! Combine all ingredients and shape into meatballs. This recipe makes about 40 meatballs. 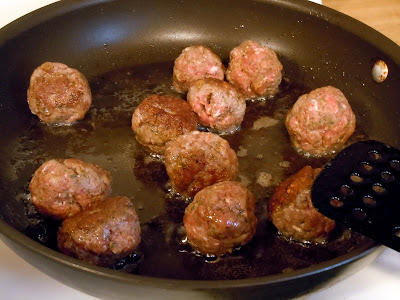 Add meatballs, about ten at a time, to the hot oil. Keep flipping until browned on all sides. This is what they should look like when they're done. Crispy and delicious! Combine all ingredients (except oil) in a large bowl. Mix just until combined. Form into small balls. Add oil to a frying pan so that it lightly coats the bottom. Fry meatballs in batches until cooked all the way through and crispy, about 5-7 minutes for medium sized meatballs. Remove from pan and drain on a paper towel. Repeat until all meatballs are cooked. If serving with marinara sauce, add the fried meatballs to the simmering sauce about 1-2 hours before serving. Note: To save some calories, spray a 9x13" baking sheet with cooking spray and bake these in a 400 degree F oven for 20 minutes, flipping halfway through. Perfect!!!! I couldn't have done better myself.